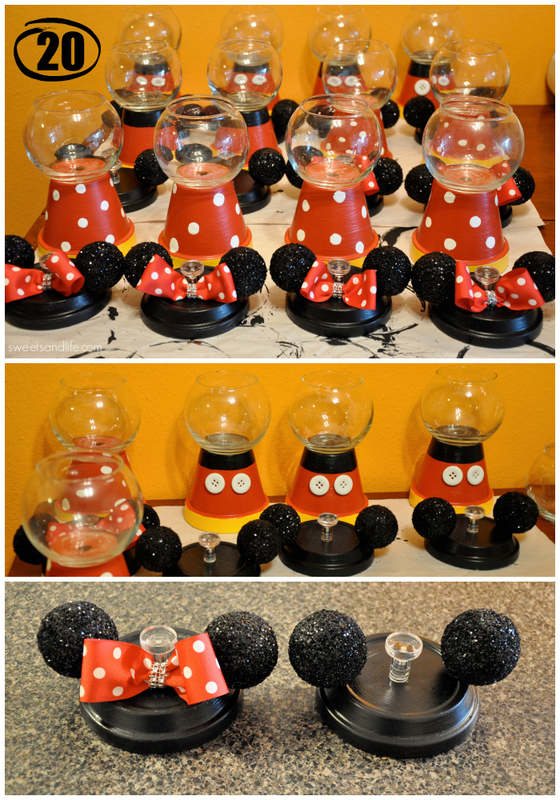 Update: Thanks for stopping by and checking out out the centerpieces I made for my daughter’s 1st birthday! 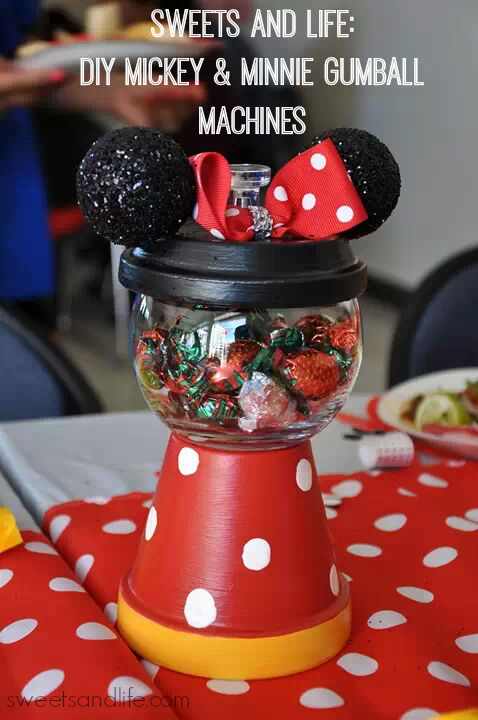 One of the cutest projects I did for my daughter’s 1st birthday party was the Mickey & Minnie Gumball Machines. 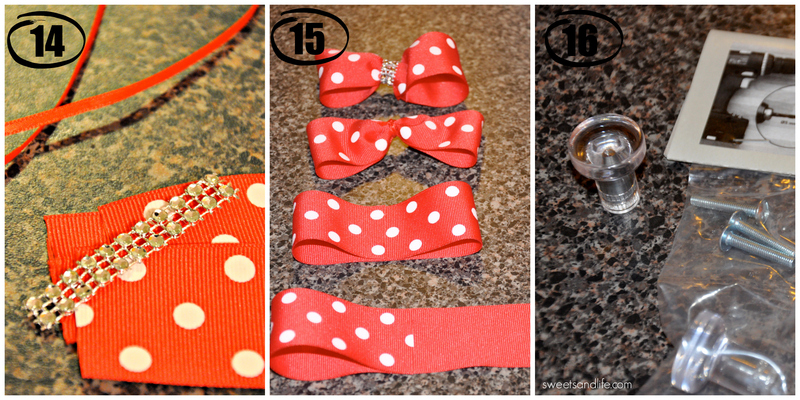 I received so many compliments from this project and it was pretty easy to make. 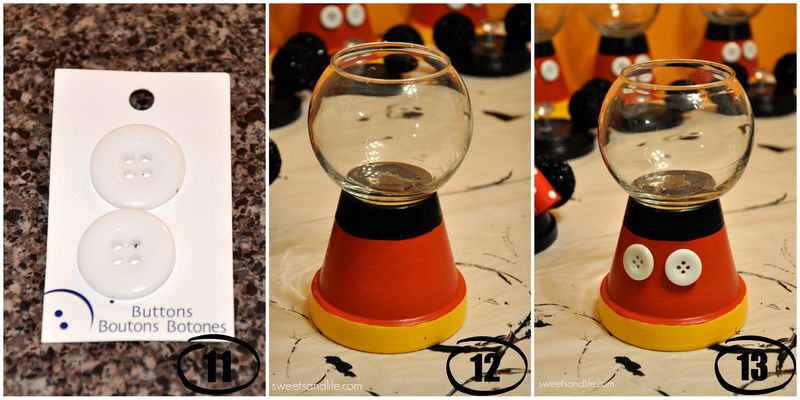 I followed Damaris’ directions on how to make these colorful centerpieces and they turned out super cute. 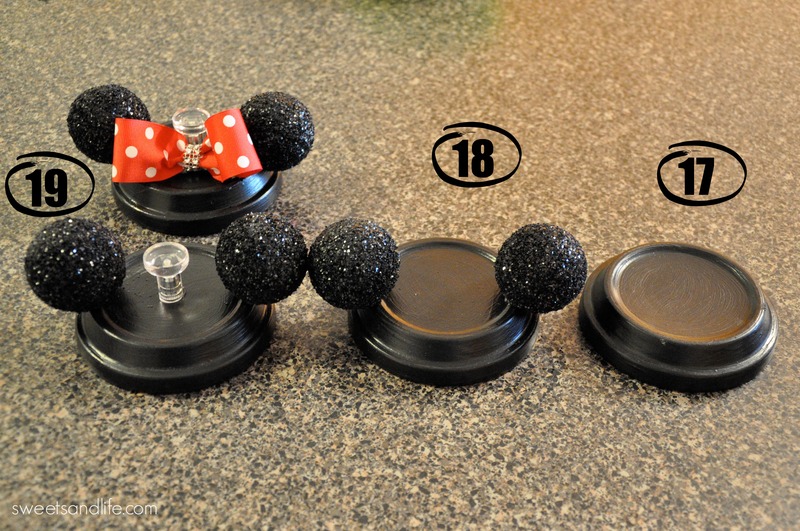 For complete directions on how to make these please go HERE. Please enjoy the photos I took of the process. I filled the gumball machines with candy from the Dollar Tree. This project is easy but be aware that it requires a lot of time to dry. Be prepared to get glitter everywhere! Door Knobs for lids- Ikea. I used Mod Podge to seal the paint. The bowls are 6 inches you know the kind you can find at any dollar store. I’m not sure how much I spent on the materials but most of the supplies can now be fond at any dollar store. 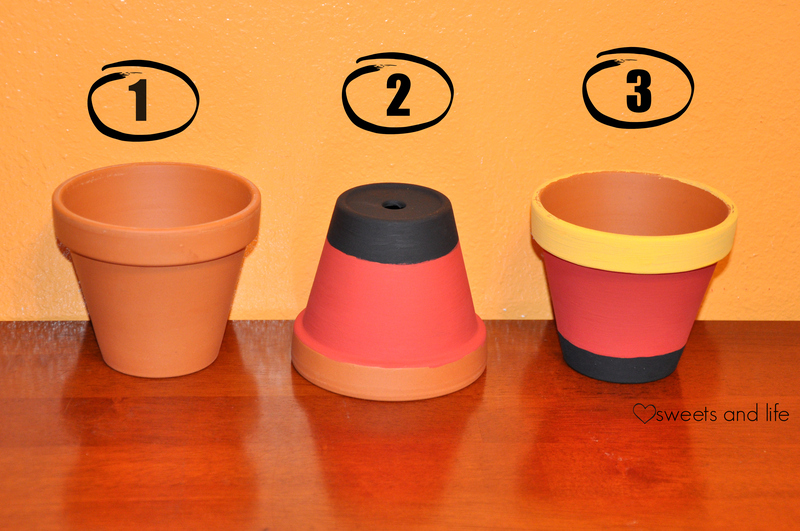 I glued the bowls to the pot with E6000 glue. Feel free to ask me any questions. I will add the answers on here. Thank you once again for stopping by. Hi I love the idea. It’s adorable and useful. I was wondering what you used for the lids. Is there a name to it? And did you make a hole in the lid or simply glued the knob to it? Thank you Mayra! 😀 It was fun making them. I believe they were 6 inches. Just plain acrylic paint I found at Michael’s. Hi, did you draw the dots on as well? I’m thinking I can use the white dots that stick in from staples. Hi! I drew them myself. Were your lids bigger than the fish bowl? Hi! I used Mod Podge.